With two spacious bedrooms (both with ensuites), a gourmet-style kitchen and a comfortable open plan lounge complete with a cosy gas fireplace, the Cecil Peak Penthouse is ideal for honeymooners, families and small groups of good friends. Fully-equipped gourmet kitchen, spacious pantry, dining table for six. Comfort, elegant decor and convenience characterise the Cecil Peak Penthouse. And the underfloor heating will keep you toasty even on the frostiest Queenstown night. The gourmet kitchen - perfect for preparing wholesome, home-cooked meals or midnight treats - features a chef-style gas stove, plenty of counter space and a large walk-in pantry. You and your guests can dine in splendour or enjoy an al fresco luncheon or afternoon wine on the sun-drenched balcony which overlooks Cecil Peak. High-quality food stores, delis and French bakeries, just a few steps from your door, ensure that you can find everything you could possibly need for truly exceptional dining. For your entertainment, the Cecil Peak Penthouse or The Walter Peak Penthouse boasts wireless broadband, an iPod dock, CD player, a wide-screen LCD TV with DVD player (DVDs are available at Reception) and Sky TV. 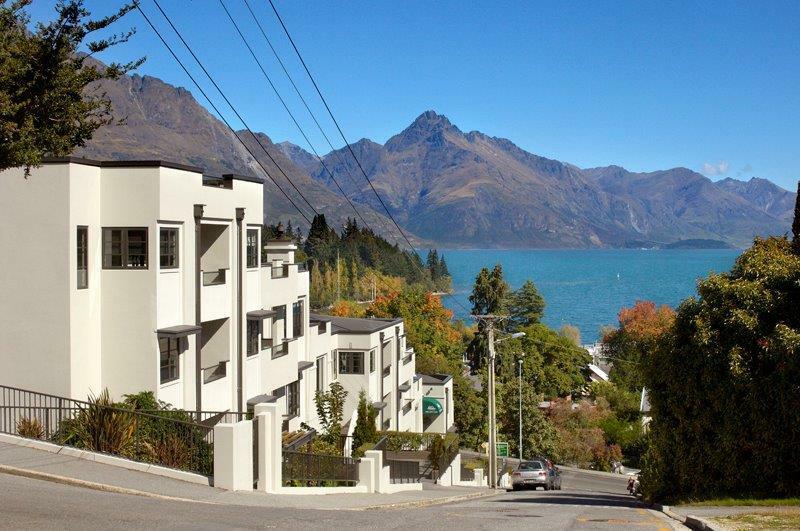 The Cecil Peak Penthouse at the Glebe…a memorable experience in luxurious surroundings. Total balcony area: 86 square metres (925 feet) • Optional bedroom configurations – twin beds or king-sized, cribs available.